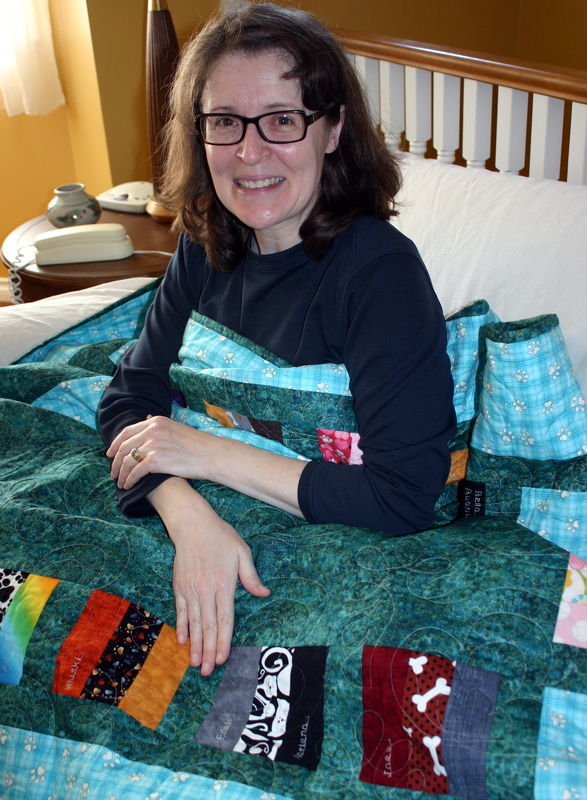 ← THE WINNER OF THE 2017 ANNIVERSARY QUILT IS …… CATHY CHAMBERS! CONGRATULATIONS! Congratulations to Cathy Chambers! 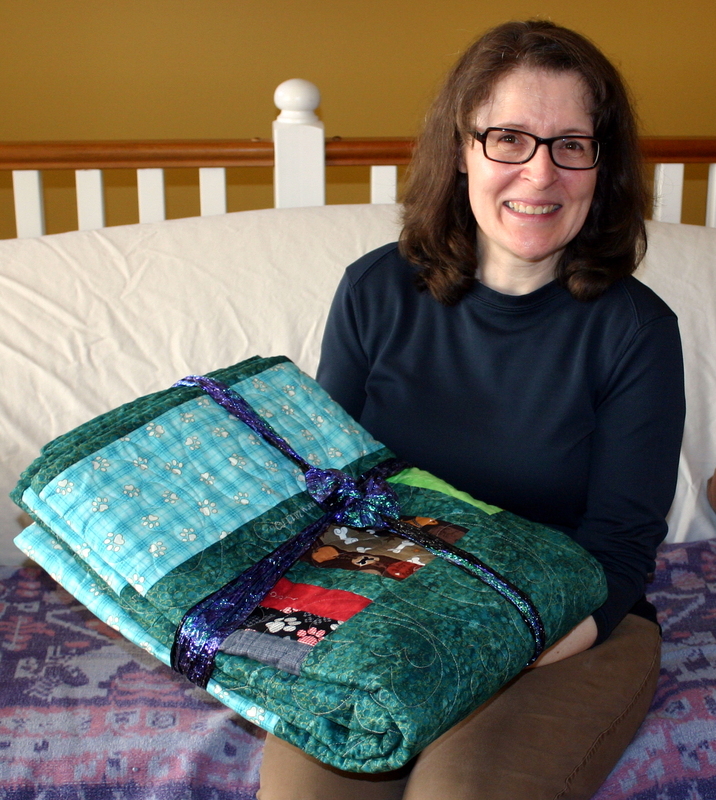 We were delighted to deliver Cathy her one of a kind quilt yesterday. She was very excited!! 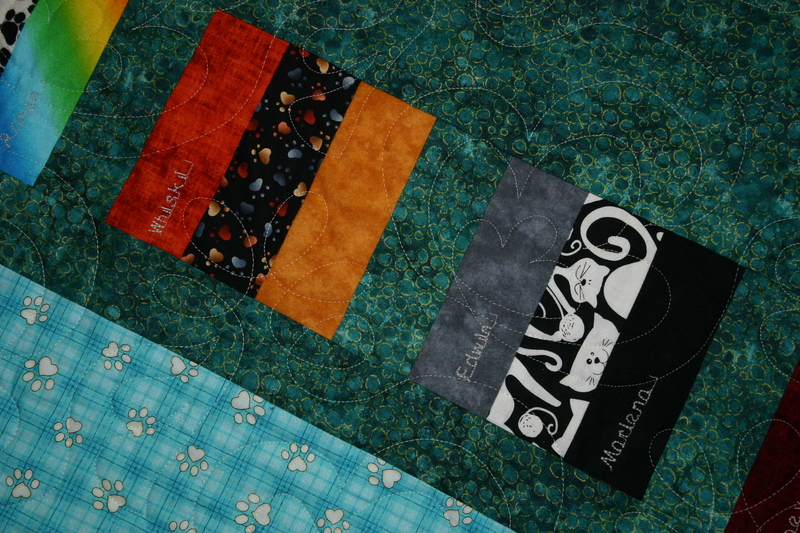 We met Cathy at the Pet Lover show in February when she ordered a personalized Maggie May blanket for her Edwin & Marlena, one of the few kitties in this years quilt. There were a number of you vying to win this year and that have been trying since the beginning. 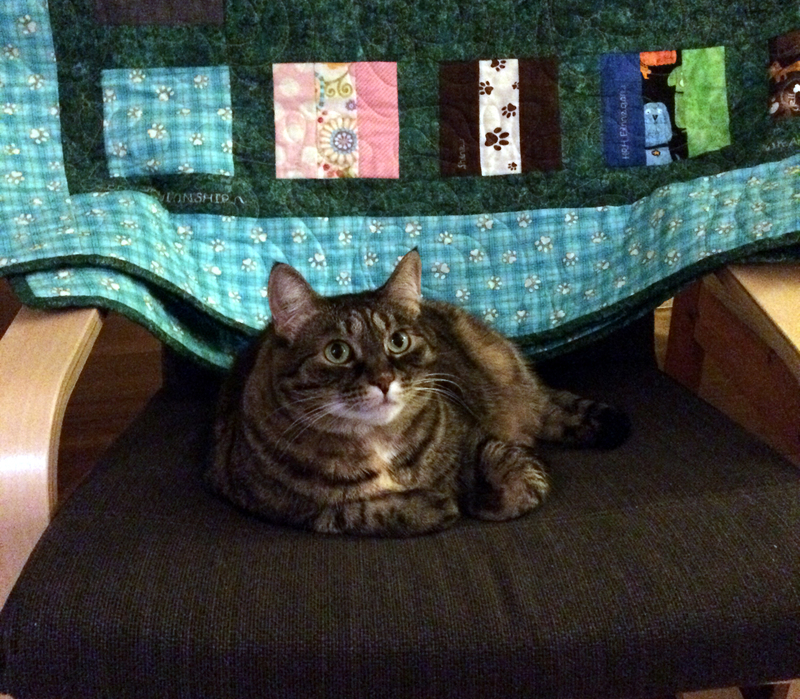 But a wise and kind supporter graciously said “the quilt went to where it was meant to be”. 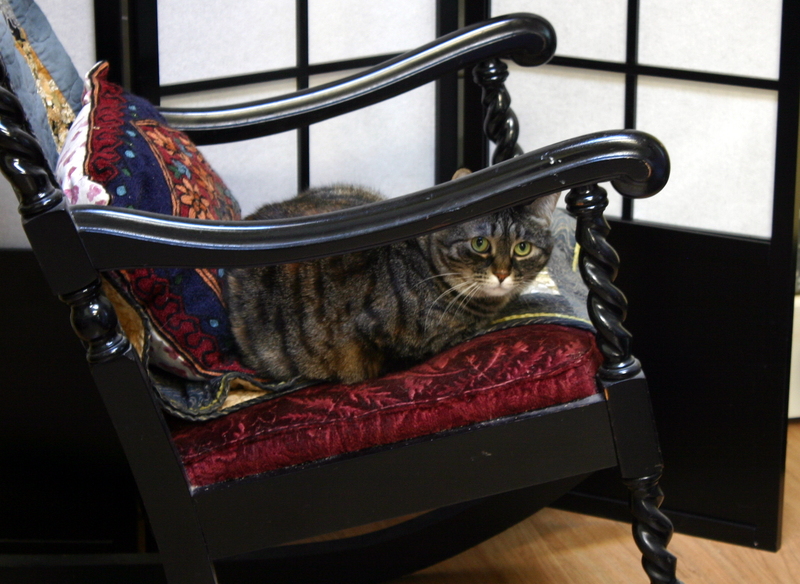 After getting to know Cathy yesterday and meeting her precious furry ones, we knew it found a loving home. We were lucky in enough to be greeted by 18 year old Cliff. Marlena & Edwin had scurried off. Cathy is an animal lover! She donates her time to Katies Place and walking the SPCA dogs in Maple Ridge. She owns Complete Care Pet Sitting, and tells us she’s thinking of adopting a dog in the near future … We guess a Maggie May blanket will be on the to do list! This entry was posted in Financial Assistance. Bookmark the permalink. A beautiful quilt that holds a lot of love. The kitties can feel it!